With the consistent focus on the ongoing market trends, we bring forth a unique range of Brass Gas Components. The offered components are manufactured as per a standardized process and appreciated for their durability and fine finish. The best grade of material used and the thread type is made available to cater to the diverse requirements of the customers. 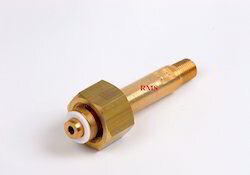 We are offering our customers precisely designed the range of Brass Gas Valve Parts. The offered valve parts are admired for their corrosion resistance, dimensional accuracy, and durability. 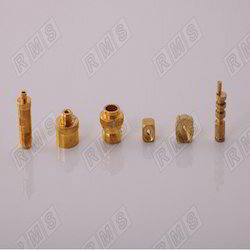 Both standards as well as customized options of these parts are made available for the convenience of the customers. Apart from this, offered valve parts are offered to the clients at reasonably price. 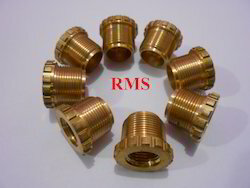 With the help of well-trained professionals, we are engaged in offering Brass Gas Fittings Parts to our clients. The offered parts are made available in various sizes to cater to the varied customer needs. Extensively used in CNG and LPG cylinder valves, these parts are highly admired in the market. Customers can avail these parts at market leading prices. We are one of the esteemed names in the market that are engaged in offering a wide collection of Brass LPG Parts. 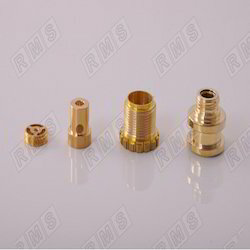 The offered parts are designed keeping in mind the varied requirements of the customers and available in several thread types and sizes. With their optimum finish, these parts have excellent corrosion resistance and highly appreciated by the customers. 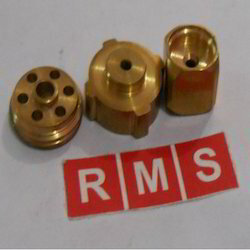 We manufactures and Exports Various kinds of Brass Cylinder Valve parts as per customers drawings. We are the prominent manufactures and exporter of a wide range of Brass Gas Parts to our esteemed clients. 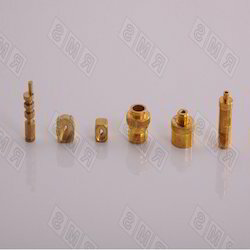 These gas parts are much preferable for thermal and electrical conductivity parts. 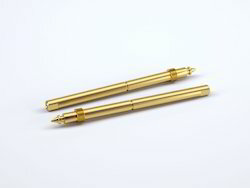 These are superior quality brass assures high durability and strength of the brass gas parts. These are contrived using superior quality material under the guidance of our expert professionals. 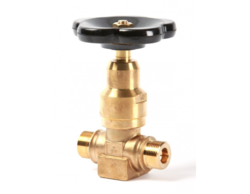 Any kind of Brass Gas Components can be developed and supplied exactly as per customer specifications. We can devlope and supply the Brass Parts as per customers drawing.